Information technology consultant Jeff Lanford worked with Kids II in Atlanta, Georgia, building a wide range of skills in e-commerce and applications development. When not consulting on IT issues, Jeff Lanford enjoys watching a sports, including mixed martial arts. His favorite fighter is Lyoto Machida, a Japanese-Brazilian fighter who has been successful in both his 2018 bouts. 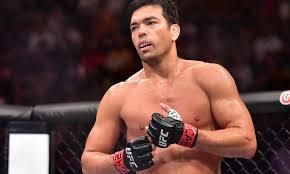 Lyoto Machida reached a verbal agreement with Bellator in June 2018 to join the mixed martial arts organization. His contract with Ultimate Fighting Championship (UFC) ran out after his recent bout with Vitor Belfort, and the former UFC light heavyweight champion now has his eyes set on a Bellator belt. He still maintains friendly relationships with many UFC fighters and personnel, but considered the Bellator offer to be in his best business interests. Machida has no specific fighter he is interested in fighting during his debut, but is interested in fighting as soon as possible. He would prefer to make his Bellator debut during September or October, and would like to have the chance to fight on the same card as his older brother, Chinzo Machida. Jeff Lanford recently served as a developer of EDI applications for Kids II, Inc. in Atlanta, Georgia. In this role, Jeff Lanford led the migration of the company's EDI platform. EDI stands for Electronic Data Interchange. It enables the electronic transfer of business documents from one business partner to another, thanks to the presence of a standard electronic format. It is a computer-to-computer system, meaning that it eliminates the need for user-operated email, postal mail, and fax systems. 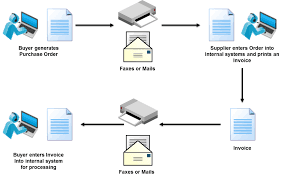 With EDI, one computer creates and sends a document directly to another, and that other computer processes the document as necessary. EDI streamlines the communication process and greatly reduces or eliminates the possibility of user errors. Even in a more traditional paperless system, employees must still generate documents and email them to a partner organization, where a representative must receive the document and take the appropriate action. For example, if a buyer sends a purchase order to a supplier, that organization would then enter the order, print the invoice, and send it back to the buyer for processing. In an EDI process, however, the buyer's system sends a purchase order directly to the relevant application in the supplier's system. That application can then begin to process the order with no need for user participation. This requires both parties to have the same EDI standard and version, just as two human beings communicating need to speak the same language. In most cases, EDI documents travel from one company to another. The process is extremely streamlined and can remove days to weeks from applied processes. A graduate of Georgia Southern University in Statesboro, Georgia, Jeff Lanford earned his bachelor of arts in information systems management in 2000. He subsequently found employment as an electronic data interchange (EDI) coordinator with the large consumer goods conglomerate Kids II. Generating annual revenues of more than $350 million, Kids II distributes products of children’s brands such as Baby Einstein and Bright Starts on a global level. Jeff Lanford ultimately became an EDI applications developer with Kids II, overseeing and integrating a number of vital enterprise technology platforms. He also led the migration of the Kids II’s EDI platform from Mercator/WTX to BizTalk and implemented BizTalk on Azure to run all company EDI software in the cloud. Since parting ways with Kids II in 2016, Jeff Lanford has established himself as a successful independent consultant in Alpharetta, Georgia. In his free time, Mr. Lanford enjoys playing the guitar, looking to legendary hard rock musicians such as Eddie Van Halen and Joe Satriani for inspiration.